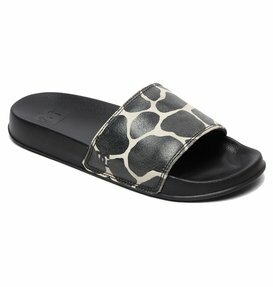 We’re excited summer is fast approaching, because that means women’s sandals are back in style. 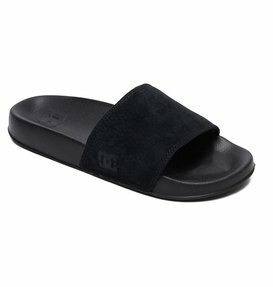 Flip flops for women and women’s sandals are two of the most versatile types of women’s footwear. Not only is each capable of adding fashionable value to your ensemble, but the freedom and comfort that they give your feet is unmatched. At DC Shoes, we have a long history of designing lifestyle footwear that exudes style and innovates design. We’re constantly seeking out new ways to improve upon current designs, and our collection of women’s sandals is a great example of how we are able to achieve new levels of style each season. 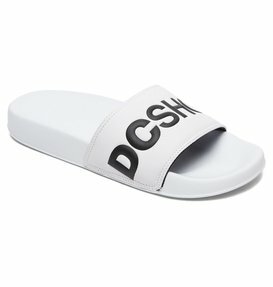 DC Shoes’ sandals and women’s flip flops are more than just casual summer footwear, they are detailed pieces of premium footwear, and whether you’re wearing them to the beach, or to a party, or embarking upon a day-long summer journey, they will keep your feet feeling comfortable every step of the way. 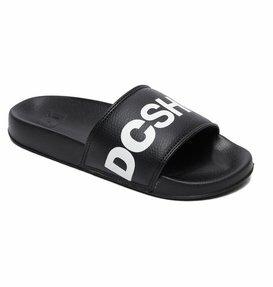 If you’re looking for the best flip flops and women’s sandals, you need to be shopping at DC Shoes. When it comes to women’s flip flops and sandals, our selection is extensive. We have comfortable sandals, beach sandals, dress sandals, and everything in between. One thing that makes our flip flops for women so special is the attention given to their construction. Each pair of flip flops and summer sandals is made with durable materials that will wear evenly over time and last you longer than your average fashion footwear. We care about the quality of our sandals and flip flops because we know that you lead an active lifestyle, and we want to ensure that our flip flops can keep up with your fast paced agenda. There is no question about where you can find cute sandals and flip flops for women. 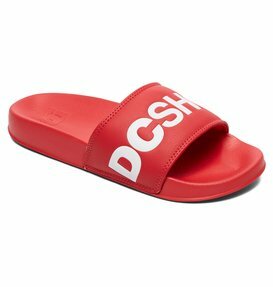 DC Shoes’ collection of women’s sandals boasts a wide selection of silhouettes and styles so that you can find the pair that fits your feet best. If comfort is your main goal, get comfortable in a pair of our flip flops with arch support. While all of our sandals and flip flops are designed to make comfort a priority, some feature a little more fashion than others. If you’re interested in stepping up your style game, slip your feet into a pair of our strappy sandals, or add a little glitz and glam to your look with a pair of our gold flip flops or leather sandals. Give yourself a little boost and add some height to your attire with a pair of our wedge flip flops or platform flip flops. We have a variety of colors for you to choose from that will add some bright bold hues to your outfit. We also have more subtle colors for days when you don’t need your footwear to be the focus, including brown sandals, black flip flops, and white flip flops. We’ve got options, now it’s up to you to snag the best ones. Are you ready to stock your shoe shelves with the best women’s sandals? DC Shoes has all of the styles you’re looking for available in our online store. Our selection of flip flops for women is versatile so that you can buy the pairs that complement your current wardrobe best. We’ve made buying your favorite sandals easy by conveniently featuring them in our online store where you can get what you need with just a few simple clicks of a button. 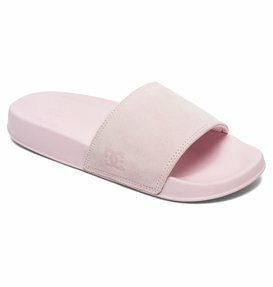 Getting great flip flops for women has never been easier, and when you shop with DC Shoes you not only get convenience, but the guarantee of quality as well. In order to make your online shopping experience that much more enjoyable, we’ve set up a free customer service helpline that is available to answer any questions you may have while you shop.